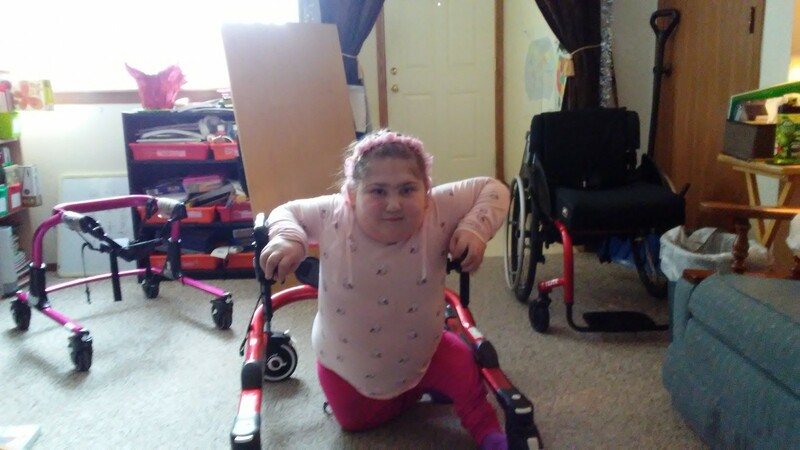 When Namine’s new wheelchair was delivered, she was supposed to get a new walker as well. Unfortunately, the company had ordered the wrong size, so we had to wait for the correct size. Well, we’re waiting no longer, because this morning the new walker was delivered. Both the old and the new are extendable, but Namine had outgrown the tallest that her old walker could go. As it was all she had, it’s what she used in therapy. Even at its shortest setting, this new walker has room for Namine to grow. It will take a little time to get used to, but she is happy to finally get another new piece of equipment.